Phew, MAC Monday fell off the bandwagon a bit this month, huh? Truth be told I've been feeling a bit overwhelmed by the sheer number of products awaiting testing at the moment and being sick for a fortnight at the beginning of the month really didn't help matters. But I'm testing stuff and my lips are almost back up to swatching condition so hopefully, eventually, I'll catch up again. Anyway, today I want to show you the lone lipstick that launched with last year's Lorde collection (try saying that five times fast!). The Lorde collection was pretty hyped, with promo images showing the singer wearing a vampy deep plummy purple, but when swatches started popping up it was a fair bit lighter and not terribly even in its colour pay off. I kept yo-yoing back and forth about getting it and in the end it was a total impulse buy. 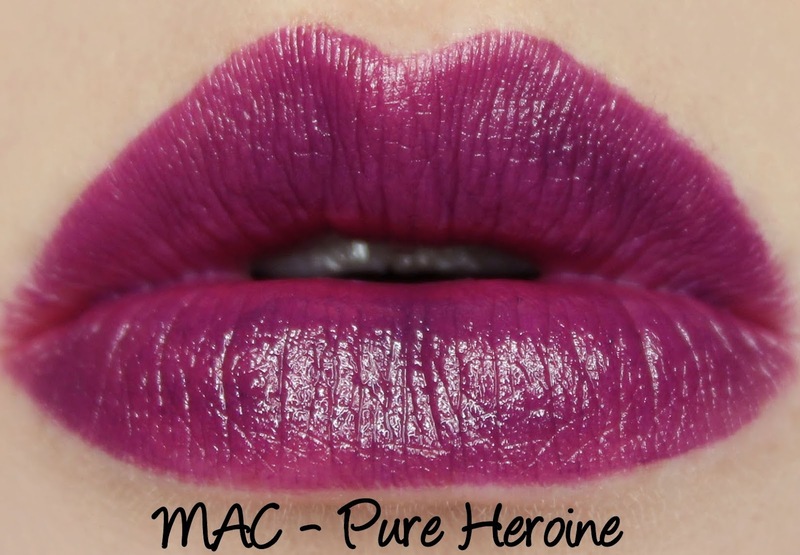 Pure Heroine is a deep plummy purple with an amplified finish. It has mostly even colour pay off with some streaking and patchiness going on up close but it looks much more even from a distance. The condition of your lips is really going to affect how well this lipstick looks, it'll catch on any flakes and contribute to the patchiness. The swatch above was taken when my lips were in really good condition and you can see it's not perfect. All of the above could easily lead you to believe I dislike Pure Heroine which is definitely not the case! 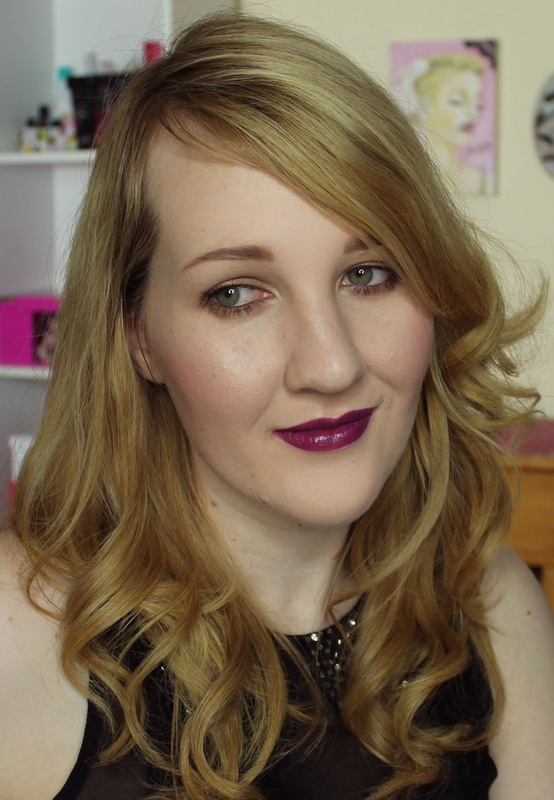 The formula is not as great as I have come to expect from MAC, but I really like the colour. Wear time was good, it was a bit faded after three hours and lasted six hours in total without feathering or being drying. It left behind a strong pink stain. What do you think of Pure Heroine? Are you a Lorde fan? 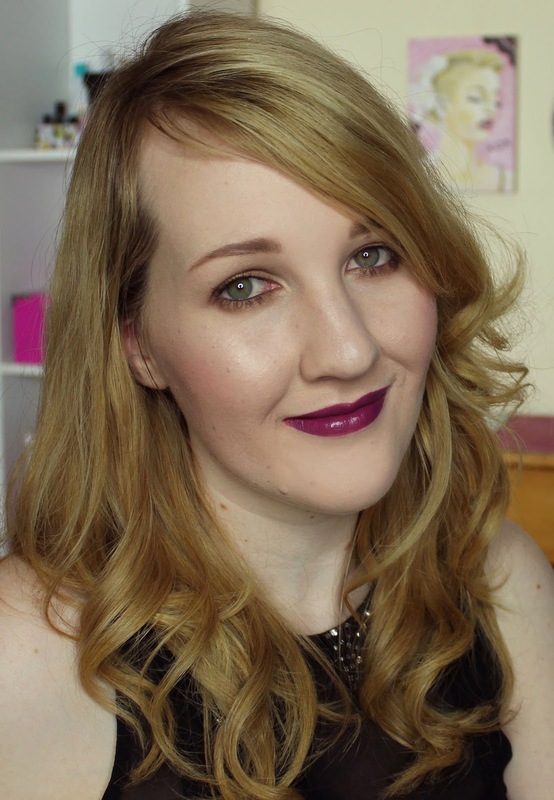 I quite like this, I like it better than the original Heroine but I was just like 'I'll never wear a dark purple lipstick' and I'm probably right. I need to get more brave!